Are you Suffering from Burning Red, Pink or Sore Eyes? 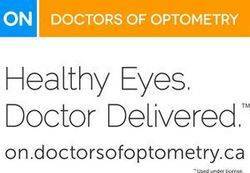 Do you require a referral to see a specialist of optometry? No, you needn’t bother with a referral, and optometrists can frequently see you that same day. Our convenient locations are cost effective for your whole family and you can be sure you are receiving the attention of an eye care specialist. Are expenses connected with visits to an optometrist for critical care issues covered? Health coverage of critical care providers differs by province. Contact your optometrist near to Thornhill, ON learn more about how critical care services are covered under your provincial medical insurance plan. We are always willing to help, should you ever experience an eye emergency. Our offices provides emergency services for eye infections, eye injuries and other eye urgencies. State of the art equipment allows us to examine the front surface of the eye and also digitally scan inside the eye for infection or damage. I am Experiencing Eye Pain. Eye Emergency or Not? Without a doubt, your eye doctor can determine the source of the eye pain and prescribe the right course of treatment. Cornea – the clear part of the eye. Note, this is the area where most eye pain occurs. Sclera – the white part of the eye. A foreign object such as a piece of metal, wood, dust or dirt. A corneal abrasion is a scratch on the surface of the eye. A corneal infection usually results in discharge from the eyes, swollen eyelids or an itching or burning sensation. Styes, which are lumps that form near the edge of the eyelid. Sinus infections can cause eye pain, causing pressure to build directly behind the eye. While there is no one answer as to whether you are experiencing an eye emergency or not, it is best to contact your eye doctor as soon as possible in order to investigate the underlying cause of your eye pain and decide upon the proper course of action or treatment. Ever have a Contact Lens Stuck in Your Eye? 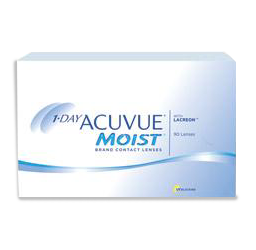 Let’s first debunk the myth that a contact lens can move behind your eye. Don’t worry, this cannot happen. Below, we will discuss some tips for how to remove your “lost” contact lens. Why Do I See Flashing Lights?